It is important to review What Is a Work Type and How Should They Be Used? before continuing with Services. Don't forget to add a pay rate for each Service. This default rate will be used when no specific Worker rate has been added. 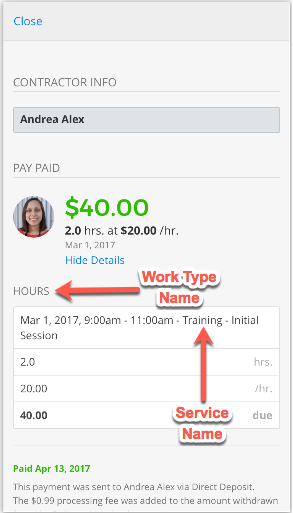 The Service dropdown is only displayed for Work Types with Quantity Measure Time. 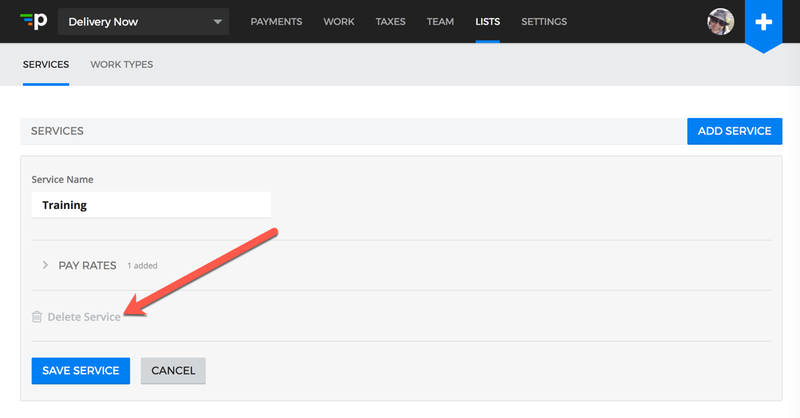 Displaying the Service dropdown for other Work Types (Money, Distance, Units) requires us to enable them for you. Contact Payable Support for help. If you have a Service you no longer want to use, deleting it offers a quick way to remove it from view and prevent new work from being created for that Service. Existing payments for that existing Service will remain unchanged. If a Service ever needs to be used again, simply go to Lists > Services > Add Service.